J'aime bien ces oiseaux gracieux. Ray: La Grande Aigrette Blanche est l'une des plus gracieuses des oiseaux, Martine, et leurs débarquements sont beaux à observer. Ray: They are lovely birds, Sherri. It must be in the heron family, Ray, because the same is true of the herons we see here in the Netherlands. Very cool action shots. Ray: Egrets and Herons are very similar birds, Ginnie. Ray: That must have been a thrill, Lisl. Actually, I believe you told me that story once before, probably when I last showed a Great White Egret. Ray: I like how the turbulence at the moment of touchdown ruffles the feathers on top of the wings, Chris. Ray: A pleasure to observe these critters, Alan. Merci Ray pour ces photos , j'aime beaucoup l'Aigrette ..
Ray: A lovely, graceful boid, Bill. Ray: I share your view on this, Astrid. Not much to it Ray, long and gangly. Ray: If you are planning on eating one, Chad, I recommend you go for the neck as it has most of the meat. But you captured ver well these birds! Yes, they look like ballerinas. Ray: Balanchine might have done well to create an Egretlake ballet, Philine. They are so fine boned compared to a heron. Ray: Like a paper kite, Mary. 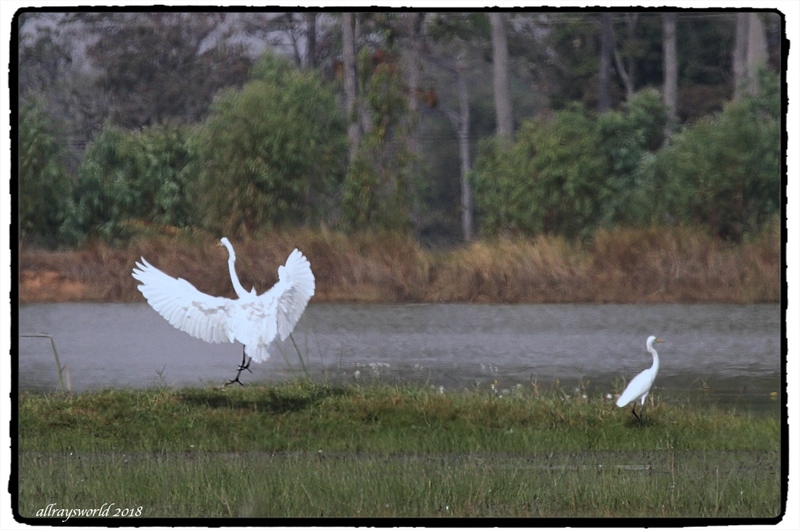 Dance of the egrets, yes. Ray: Like observing a ballet, isn't it, Louis. They have a magnificent wingspan don't they. Ray: Big wings, and a lovely, slow wing cadence in the air, Brian. With a common egret beside it? Ray: Yes...you have a good eye, Tom. 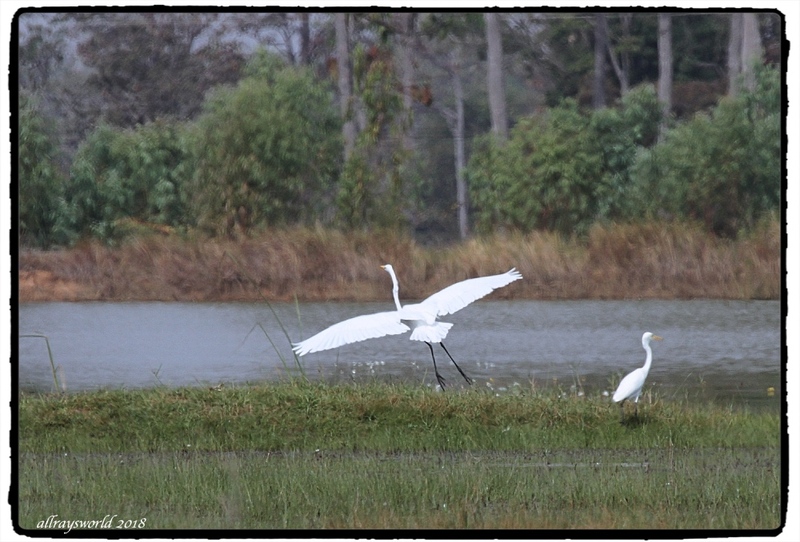 Little, Common and Great Egrets can all be found at this shallow lake not far from our house. Ray: This was shot from about 200metres, Martin...it wouldn't let me any closer than that.